The World’s Luckiest Fishing Village has something for everyone looking to buy real estate. 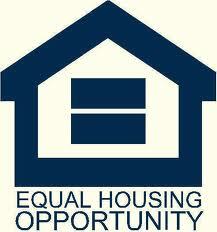 Destin FL real estate runs from the $100K Florida beach cottage to the multi-million dollar mansions. Situated on a natural harbor, Destin has always been a fisherman’s paradise with the charter fishing fleet to prove it. The city has been a vacation spot for decades and will continue to serve locals and visitors with it’s Southern charm for many years to come. The charter fleet in Destin harbor is known all over the Gulf Coast as one of the best equipped and largest. The Emerald Grande is a large condo and commercial development directly on Destin harbor just before the pass. Harborwalk Village is located within the Emerald Grande development and has many restaurants and shops, including Harry T’s, which is a great spot to watch a Florida sunset with a cold drink. Destin Commons is the signature open-air lifestyle center serving Destin and its surrounding areas. It is anchored by Belk, Rave Motion Pictures and Bass Pro Shops. 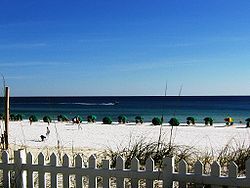 Destin is about 10 miles from the Beaches of South Walton, which includes all the County Road 30A communities.